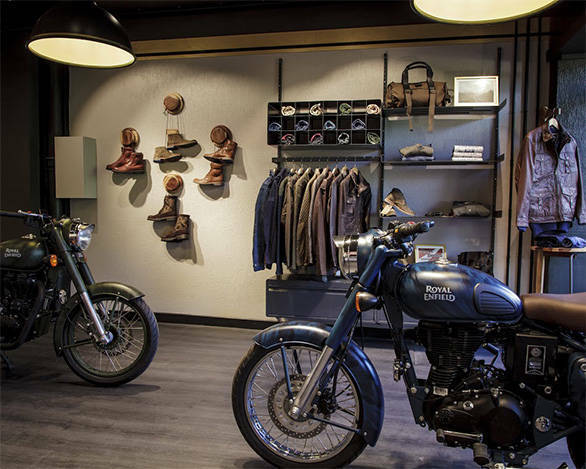 Royal Enfield opened its first exclusive stores in Madrid, Spain and Paris, France. These stores are a part of the Indian motorcycle maker's growth strategy to expand exports to Europe. These Royal Enfield stores will only be selling the Continental GT, Classic 500 and Bullet 500 in limited colour options. Motorcycle apparel and accessories will also be retailed in these stores. At the inauguration, Royal Enfield also showcased the limited edition Despatch Rider motorcycle with three colour options - Battle Green, Desert Storm, Squadron Blue. Arun Gopal, international business head, Royal Enfield said, "France and Spain represent two of the most important markets for us in Europe. We have witnessed immense growth in both France and in Spain, which is fuelled by our close proximity to the customers in these regions through a wide distribution network and increasing dealerships in the past few months. Our evocative product range available at an accessible price point is what appeals to motorcycling enthusiasts in these markets. 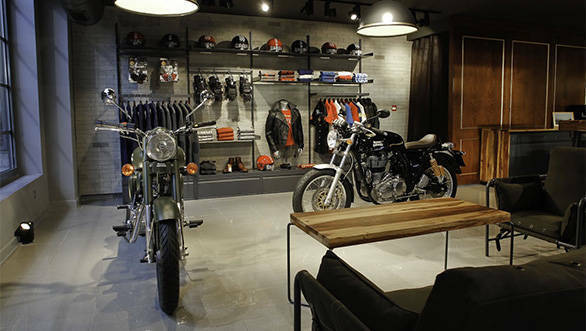 The exclusive stores are part a of Royal Enfield's new retail strategy, showcasing our brand philosophy of 'pure motorcycling' in every aspect of the Royal Enfield ownership experience." 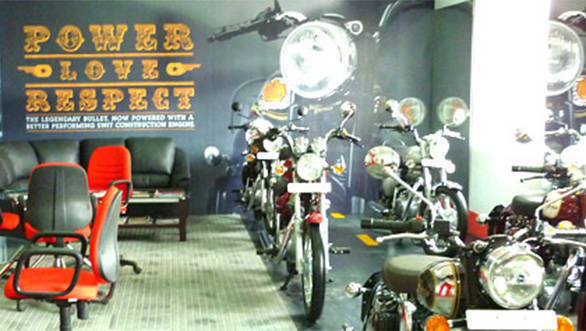 The theme for the concept stores is inspired from what RE believes could be the "living room of a motorcycling enthusiast." Before these stores, Royal Enfield had been selling its motorcycles through over 80 dealerships in France and 25 in Spain. 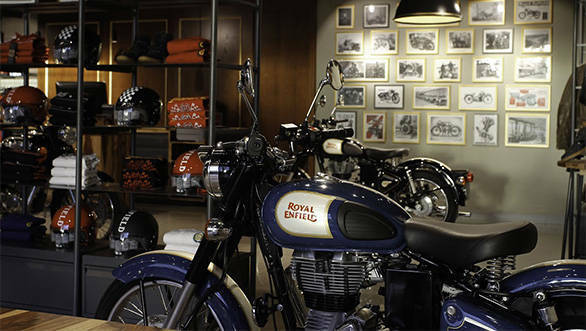 Royal Enfield plans to open three more such stores in 2016. 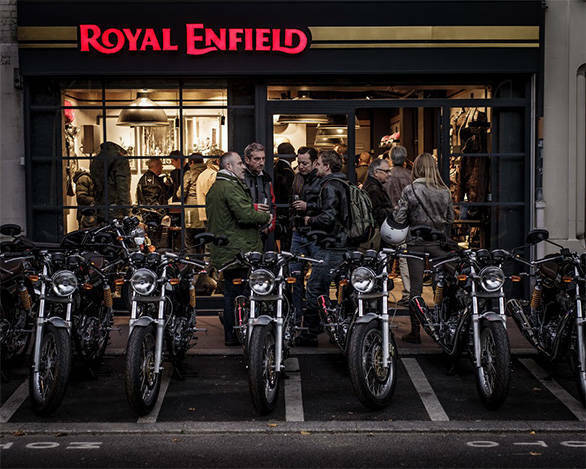 New Delhi, October 13, 2015: Royal Enfield, the oldest motorcycle brand in continuous production announced the opening of its first exclusive stores in the city of Madrid, Spain and Paris, France. 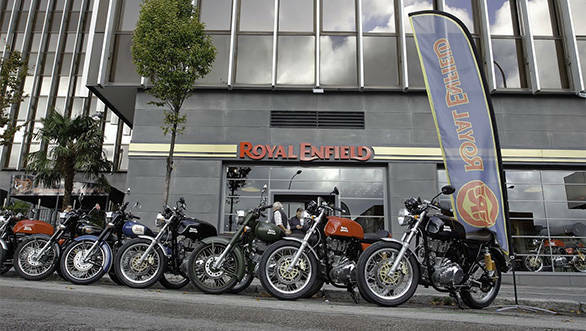 The new stores in these countries is a part of Royal Enfield's growth strategy in Europe and focused international thrust of leading and expanding the global mid-sized motorcycle segment (250-750cc). Speaking on the announcements, Mr. Arun Gopal, International Business Head, Royal Enfield said, "France and Spain represent two of the most important markets for us in Europe. We have witnessed immense growth in both France and in Spain, which is fuelled by our close proximity to the customers in these regions through a wide distribution network and increasing dealerships in the past few months. Our evocative product range available at an accessible price point is what appeals to motorcycling enthusiasts in these markets. 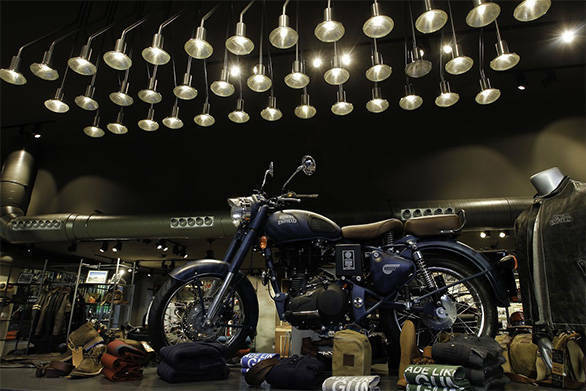 The exclusive stores are part a of Royal Enfield's new retail strategy, showcasing our brand philosophy of 'Pure Motorcycling' in every aspect of the Royal Enfield ownership experience. 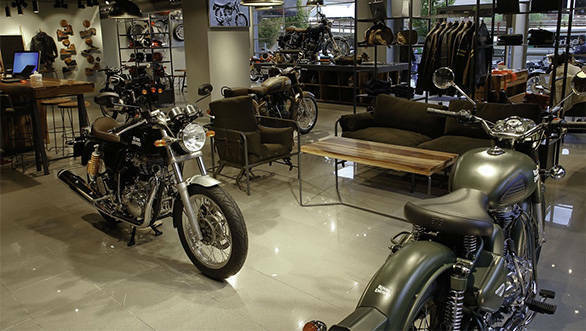 The concept stores that draw inspiration similar to a living room of an motorcycling enthusiast has been designed to provide an immersive retail experience to our customers internationally. In future we are also looking at other cities in these countries to expand our distribution network, in addition to a strong aftermarket network and infrastructure to ensure full service support." 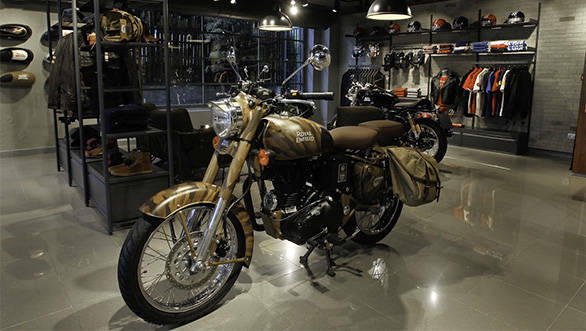 While launching its exclusive retail stores in Paris and Madrid, Royal Enfield unveiled its gear collection (motorcycle apparel and accessories) for the first time in these markets, and also showcased its limited edition motorcycle range inspired by Despatch Riders, available in three colour variants - Battle Green Despatch, Desert Storm Despatch, Squadron Blue Despatch. The gear collection and the limited edition motorcycle range has been inspired by the motorcycle 'Despatch Riders' from the World Wars. Royal Enfield is rapidly expanding its presence in these markets with over 80 dealerships across France, and 25 in Spain. In France the brand has witnessed an upward growth of 60% in the first seven months of 2015, compared to the same period in last year and has plans of opening close to 3 more such stores in the coming year. In Spain while the two-wheeler market has grown by 23%, Royal Enfield has received a very encouraging response, reporting a sales growth of 300% between Jan - Aug 2015, over the same period in the previous year. Royal Enfield exclusive store in Paris is located at 98 Rue Baudin, 92300 Levallois-Perret and in Madrid at 29, Calle de Agustin de Foxa, Madrid.